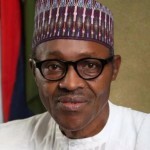 ABUJA, NIGERIA (AFRICAN EXAMINER) – Barely 24 hours after Senator Dino Melaye’s scuffle with the Police, the President of the Senate, Bukola Saraki and some Senators have visited the embattled Lawmaker at the National Hospital Abuja. 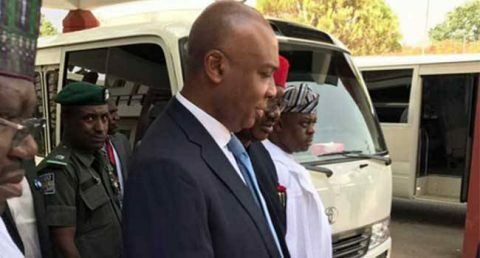 When they arrived around 1:33pm, Saraki and his colleagues met with the management of the hospital and later were allowed to visit Melaye in his ward. Melaye is being admitted in the National Traumatic Centre of the Hospital. It would be recalled that the Kogi Federal Legislator was first taken to a private Hospital Tuesday, but was later transferred to the National Hospital. The Hospital premises is now being surrounded and guarded by almost 30 fiercely-looking policemen. 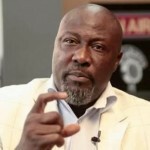 Melaye and six other suspects was accused of gun-running. 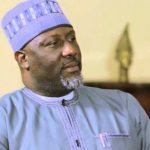 He has been repeatedly summoned by the Kogi State Police Command, but rebuffed the invitation and subsequently went on self-exile. The development forced the IGP to declare the controversial Lawmaker wanted last month.